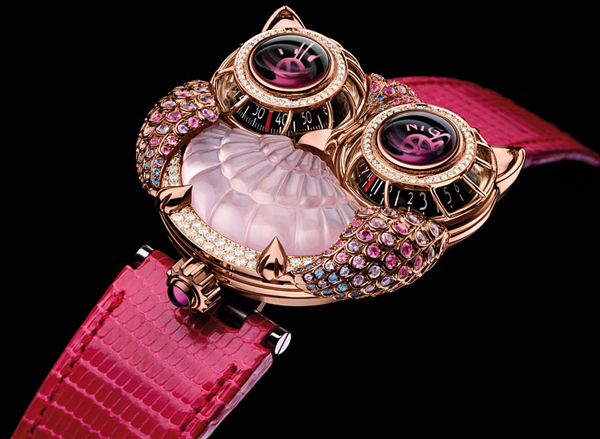 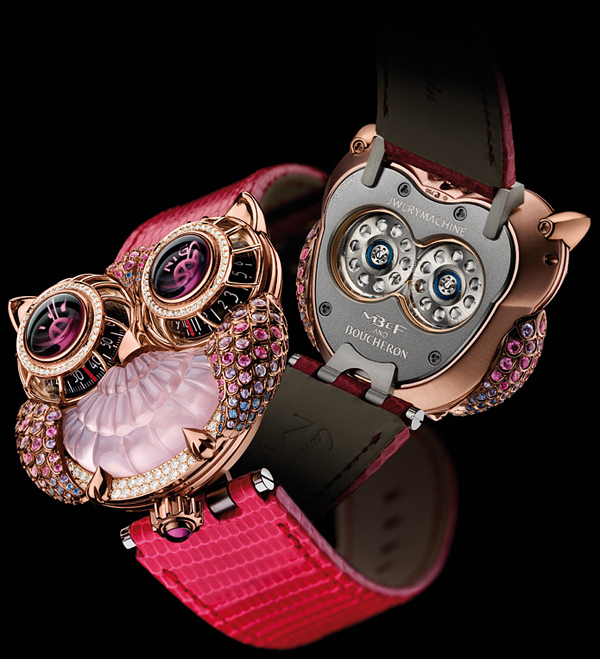 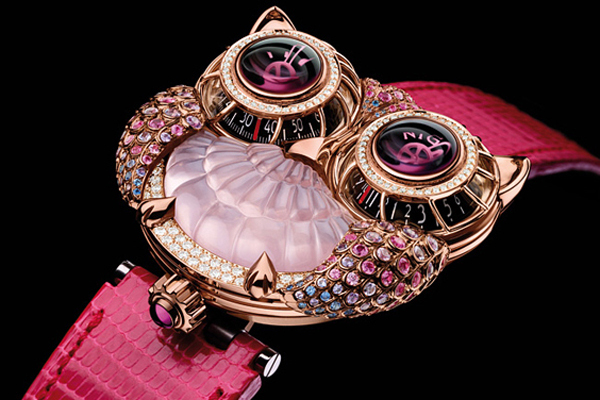 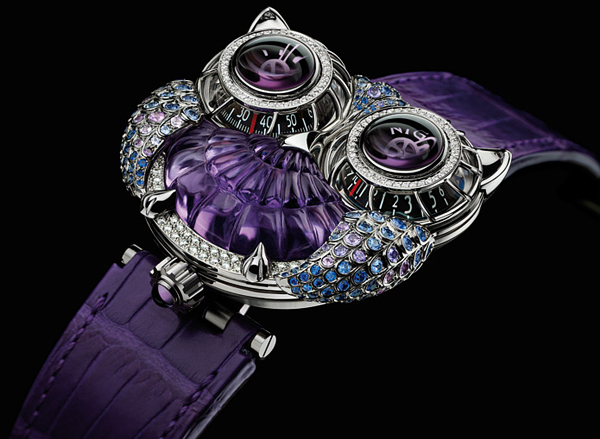 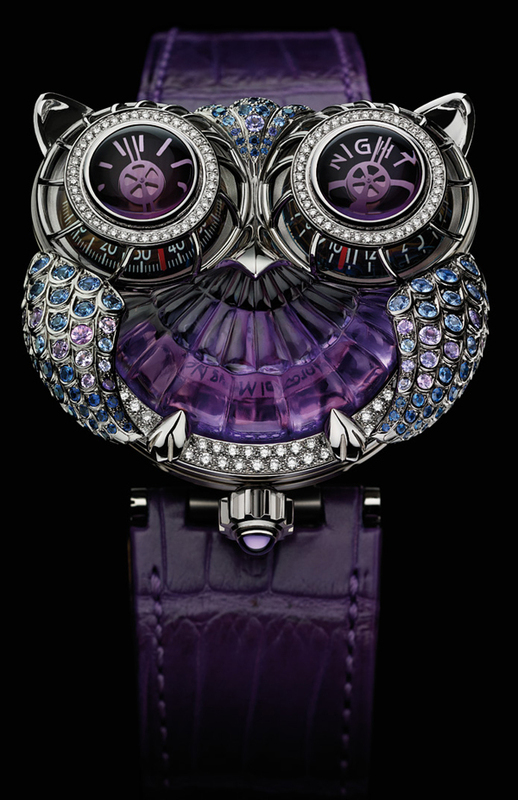 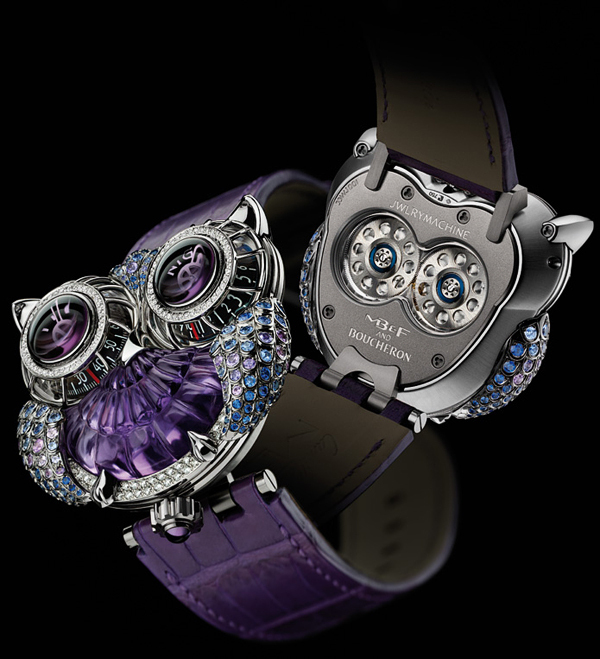 This spectacular watch could be a real star in collection of beautiful luxury watches. 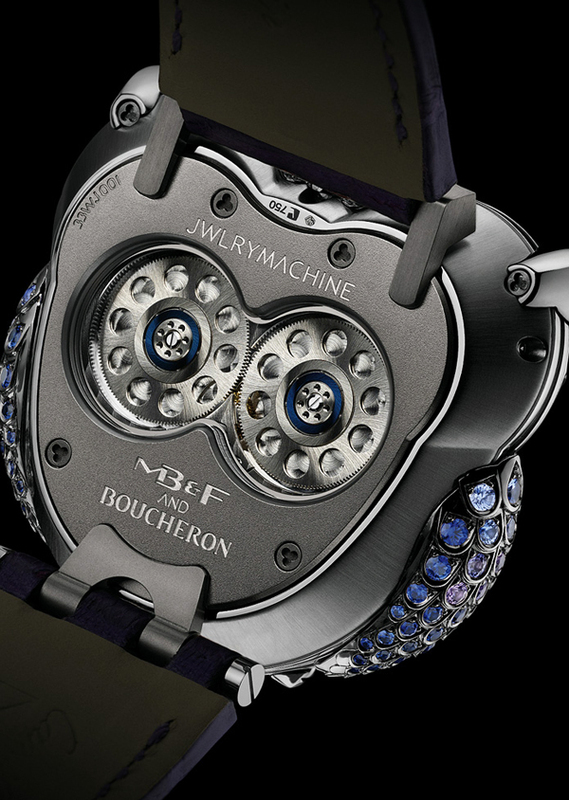 Young Swiss horological Concept Laboratory, MB&F, and prestigious 152 year old high jewelry legend Boucheron has teamed up for creating exeptional timepiece, an astonishing haute-joaillerie version of MB&F’s Horological Machine No 3 (HM3), first ever JWLRYMACHINE. 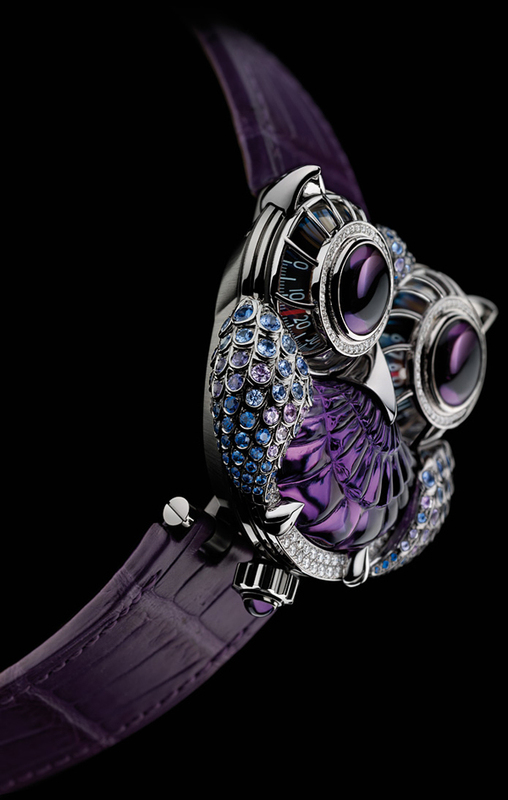 The original HM3, in gold and titanium, sent tremors through the fine-watchmaking world when it was launched in 2009.